This Wavy Shell Blanket would make a perfect summertime throw. It looks like it was inspired by seashells. 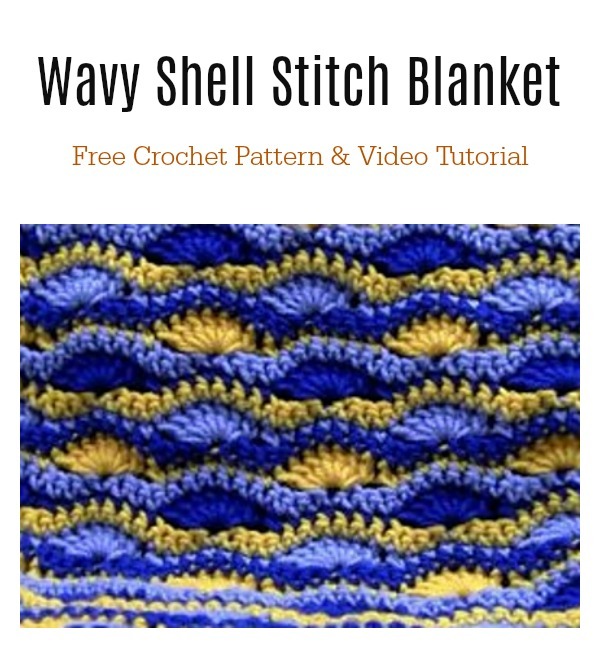 The Wavy Shell Stitch Baby Blanket Free Crochet Pattern uses the wonderful shell stitch and is much easier than it appears. It only consists of 2 lines. We have included two links for the free patterns. The first was written in Norwegian and English. The second one even includes a video to guide you through step by step. You can use whatever colors you prefer for this easy crocheted baby blanket.Thanks The Crochet Crowd and another hobby blog for sharing these free patterns and video tutorial. The links for the free patterns are provided below photos. Happy crocheting.Happy crocheting. You might also like Petal Stitch Baby Blanket Free Crochet Pattern and Video Tutorial. Click below link for free pattern (English version toward the bottom of the page)….